PT Pelabuhan Indonesia I (Persero) - Pelindo I Group or commonly known as Inaport 1 is a reputable state-owned port management services company in Indonesia. Inaport 1 operates primarily as a port operator in the western part of Indonesia which covers 4 provinces, namely Aceh, North Sumatera, Riau and Riau Islands. The Company is fully-owned by the Government of Indonesia. 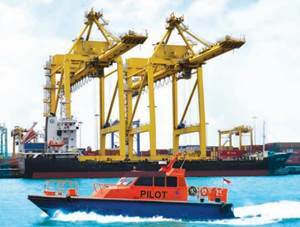 Headquartered in Medan North Sumatera, Inaport 1 runs its business through 14 port branches, 1 representative office, 11 port areas and 4 working units. Inaport 1 also supported by 4 subsidiary and affilated companies, namely PT Prima Indonesia Logistik, PT Prima Pengembangan Kawasan, PT Prima Terminal Petikemas, and PT Prima Multi Terminal. Statement of financial position of PT Pelabuhan Indonesia I (Persero) in 2015 showed a good performance. According to PT Pelabuhan Indonesia I (Persero) Annual Report 2015 as cited by JobsCDC.com, Pelindo I Group successfully recorded a total revenue of Rp 2,340.72 billion, increasing from Rp 2,095.52 billion in 2014. Total current year profit in 2015 amounted to Rp 700.36 billion, booked a 30.93% growth from Rp 534.89 billlion in 2014. Maximum age of 30 years old on 1 December 2016. Minimum 2 years of experience as a programmer. Able to analyze and translate the problems into algorithms. Minimum 2 years of experience as a ABAPER. Have a portfolio of at least three (3) reports or business processes built with ABAP (attach demo). Able to process analysis and data is preferred. Willing to work full time in the project (full-time). Able to adapt and understand the working conditions quickly. Have a desire to continue to learn both guided and independent. Legalzied opy of the latest diploma. JobsCDC.com now available on android device. Download now on Google Play here. Please be aware of recruitment fraud. The entire stage of this selection process is free of charge. PT Pelabuhan Indonesia I (Persero) - Junior Staff, Senior Staff Pelindo I Group December 2016 will never ask for fees or upfront payments for any purposes during the recruitment process such as transportation and accommodation.